The top athletes in the pool are not only fast swimmers, they are fast kickers. Here is your guide to a faster freestyle kick. The fastest freestylers on the planet always have an unbelievable kick. Alexander Popov, two-time Olympic champion in both the 50m and 100m freestyles could kick 50m long course in 27 seconds. 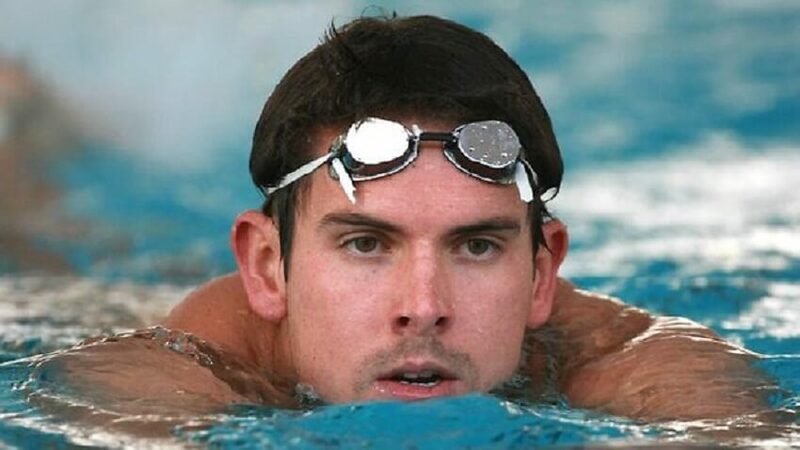 Cesar Cielo, world record holder in the 50 and 100m freestyle can kick the same length in 30 seconds. 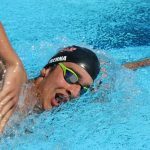 Other top sprinters including Americans Nathan Adrian and Jimmy Feigen have made it clear that to swim fast you need to put in work on your legs. 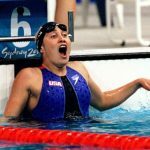 Even if you are not a sprint swimmer, athletes like Katie Ledecky are showing that you need to have some serious wheels in the lower body to compete at an elite level. 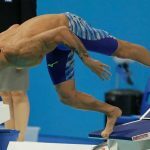 Despite this, it seems many swimmers (and even coaches) don’t emphasize lower body work in the pool. Sure, a bunch of kick sets might get scrawled up at the beginning of the season for aerobic work, but this typically tapers off as the season unwinds. 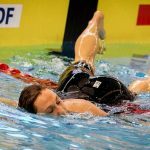 Your legs, being those big trunks of muscle that they are, need to be in hilarious shape in order to develop the type of propulsion and stability necessary for high speed swimming. Faster kickers make for faster swimmers. Doing kick goes beyond just giving your shoulders a break (although that is a solid reason in itself). And it’s easy to understand why we ignore our legs– they are working down below on their own, while we are paying attention to what is happening right in front of us with our arms and hands. 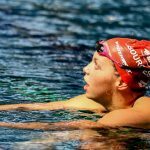 But having a solid flutter kick will help you become a better swimmer overall. Added propulsion. The immediate goal of developing a faster flutter kick is as basic as wanting to go faster. The faster you can kick, the faster you can swim. It’s as simple as that. A strong kick gives you killer body position in the water. Beyond propulsion, kicking—particularly for sprinters—helps the speed-seeking swimmer maintain a high body position in the water. 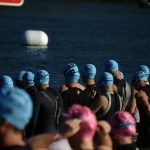 While we are still a ways away from sprint swimmers completely hydro-planing across the water, that is the goal. A strong kick launches you into your arm pull. Strong legs and a strong kick add power to your hip rotation. This in turn helps you drive your arms forward for a faster and more dynamic arm pull. A strong kick keeps your stroke together. Strong legs come in handy towards the end of races, where your muscles are failing left and right, with your stroke disintegrating with each passing meter. Having the endurance in your lower body is essential to keeping your body position in the most efficient and powerful position possible. So now that we understand why having a strong flutter kick is important, what can we do to improve our flutter kick? Swimmers can be forgiven for having ankles that aren’t the most stable. We spend a majority of our time training in water, with horizontal push-offs the only real shock to our little feet. Swimmers can build up ankle strength by incorporating skipping into their warm-up/mobility/dryland plan. Skipping rope is not only a low impact way to quickly develop strength in your ankles and calves, but it will also develop overall athleticism and help you be lighter on your feet, which comes in handy for developing quicker turns and starts. 2. Balance out your kick. For most swimmers there is a near total focus on the downward portion of the kick, with the upward motion acting as a recovery movement. 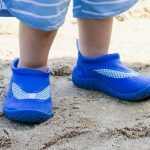 While we lack the musculature to develop a truly balanced kick, one of the fastest ways you can improve your kick is by being more attentive to the upward part of the kick. Incorporating vertical kicking into your training is one of the easiest ways to force yourself to be more attentive to the upkick. One of my favorite kicking drills, when done correctly it forces you to be more balanced with your kicking in order to keep your head above the water. Pro Tip: Add a weight belt, DragSox, or try performing your vertical kick work with swim fins to make things even more challenging. 3. Stop kicking down, and start kicking backwards. Just like how with our pull we strive to have an early vertical forearm so that we are pulling our bodies forward through the water by pulling backwards, with our feet we want to be kicking the water backwards, and not just downwards. This requires flexible ankles, otherwise swimmers will bend their knees to a nearly 90 degree angle in order to push water backwards with the top of their feet. Having flexible ankles means that you can catch more water with your foot, and achieve an EVA (early vertical ankle) that will allow you to push more water backwards. But for swimmers who have limited mobility in their ankles, this will require some mobilization work. Ankle rockers. A simple stretch you can add to your pre- and post-workout dryland work. Sit on the back of your ankles. Lean back, lifting your knees off the ground. You’ll feel the stretch pretty quickly in the top of your feet. Hold for 1-2 minutes. Repeat a couple times. Ankle rotations. As a swimmer you’ve mastered a wide variety of arm swings. You can do the same with your ankles, doing 15-20 foot rotations in each direction. Best part is that you can do it while sitting on the couch. When doing kick sets you should be mindful of the movements of your legs, of driving from your hips, of cracking your ankles like a whip. Mindless kicking is fun for aerobic endurance I suppose, but you want to be efficient as well, and this comes by being mindful of your kicking technique. All too often at the pool I watch swimmers pay careful attention to the placement of their hands in the catch and pull, but when it comes to kick they thrash their legs back and forth with little thought to what they are doing. 6. Kick more. A lot more. There is no substitute for doing more kick in practice. There is no secret dryland exercise or magical technical adjustment that will replace simply doing more kick during your workouts. Add in extra 15-20 minutes of varied work on the kickboard. If short on pool space crank out some vertical kicking. Do high intensity kicking and long, low intensity kicking. Keep it fresh, keep it fun, keep it challenging, and flutter kick your way to faster swimming. How to Improve Your Kick with Mesa Aquatic Club. Paul Smith, owner and head coach with MAC shares a couple sets, as well as a video demonstration of the “Pushback” kick drill. 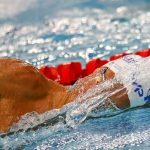 36 Epic Workouts for Competitive Swimmers. 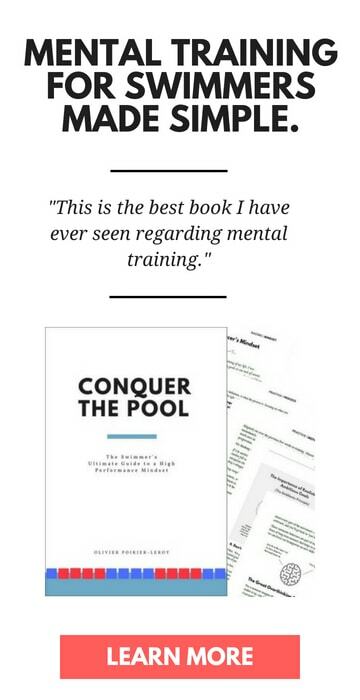 Looking to inject some new ideas into your training? Here are 36 workouts from some of the top swimmers and programs in the world.